This orange flavored Millennium energy bar is an excellent source of nutritionally dense calories, ideal for many different situations. 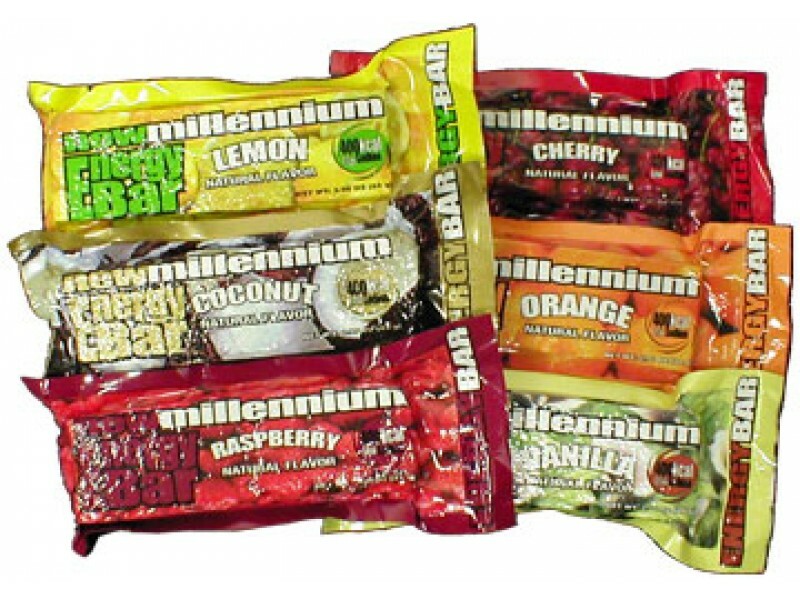 The Millennium energy bar’s great orange flavor makes it as delicious as it is nutritious. This is a favorite among many different groups of people, including hikers, campers, mountain climbers, long distance travelers and survivalists. Each bar contains 400 calories, which will help keep you strong and feeling full for hours. In addition, they provide 8 grams of protein and 19 grams of fat, both of which are important during physical activity or stressful situations. Order one bar to give it a try, or stock up on these great energy bars so you have them when you need them. 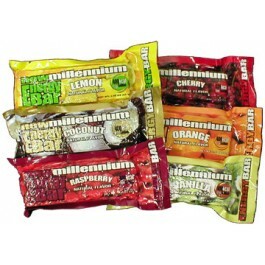 The orange flavored Millennium energy bar is a great way to ensure you always have access to the needed nutrition, no matter what you’re doing. Whether you’re out hiking in the woods, or stuck in your home after a disaster, these bars will keep your body strong. With over 400 calories in each bar, you will be able to feel full for several hours. These bars are also low in sodium, so they won’t make you feel thirsty, which is essential while engaging in physical activity, or when water isn’t readily available. This bar has a full 5 year shelf life, and can be stored in virtually any climate without a problem. When you’re ready to eat the bar, you simply unwrap it and enjoy. There is no preparation required, which makes this one of the easiest foods you can get your hands on. Whether you want to enjoy it while walking through the woods, or sitting at home, you don’t have to worry about where your next meal will come from when you have a good supply of this great bar. Buy one today to see how great this orange energy bar from Millennium tastes, or stock up on them so you don’t have to worry about running out. Everything about this bar is high quality, from the ingredients to the packaging, so you can order with confidence. They also include a sufficient amount of carbohydrates and calories to prevent dehydration.